BMW’s F30 chassis has aggressive styling, a forward slanting front fascia and the wide placement of the headlights in relation to the kidney grills means you have a pretty good base to start with, but there is room for improvement. 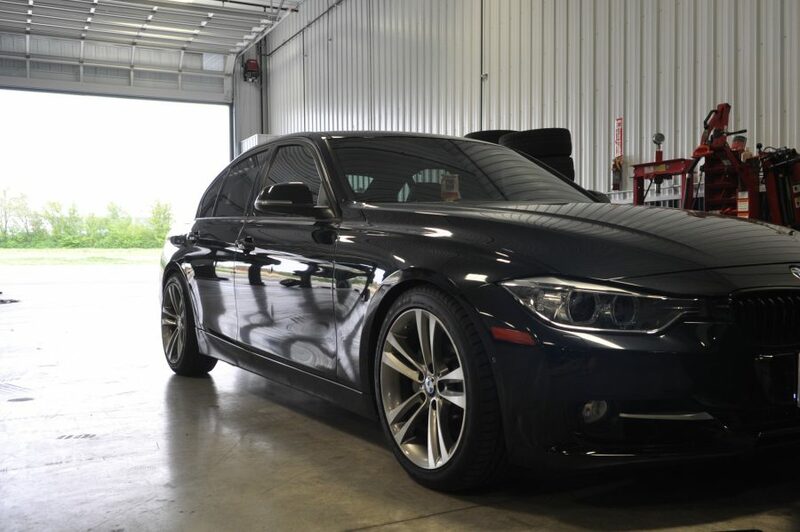 Doing an F30 BMW 335i Lowering Spring install is a prime example of how to make those improvements. 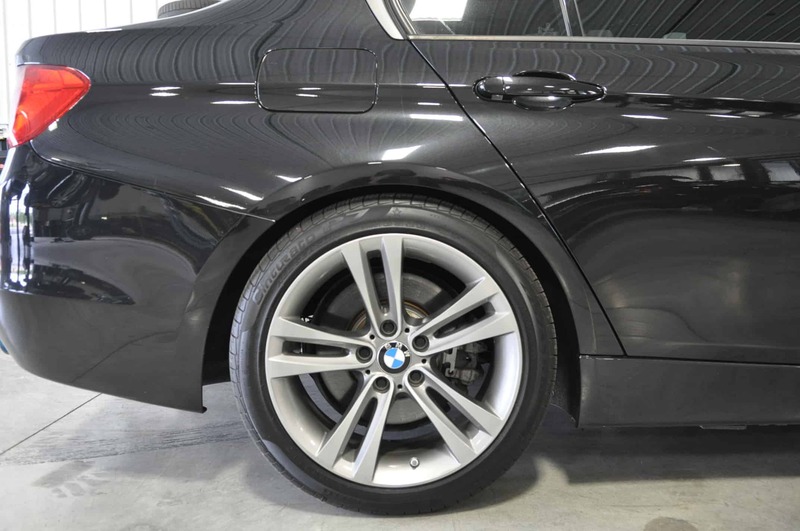 It’s pretty easy to notice wheels that sit too far in or large gaps below the fenders on vehicles. We want to try to either close the gaps or increase the wheel-to-vehicle ratio. Not only does bringing the wheel closer to the fender edge help with aerodynamics and handling, but it also looks visually appealing, and manufacturers know this. 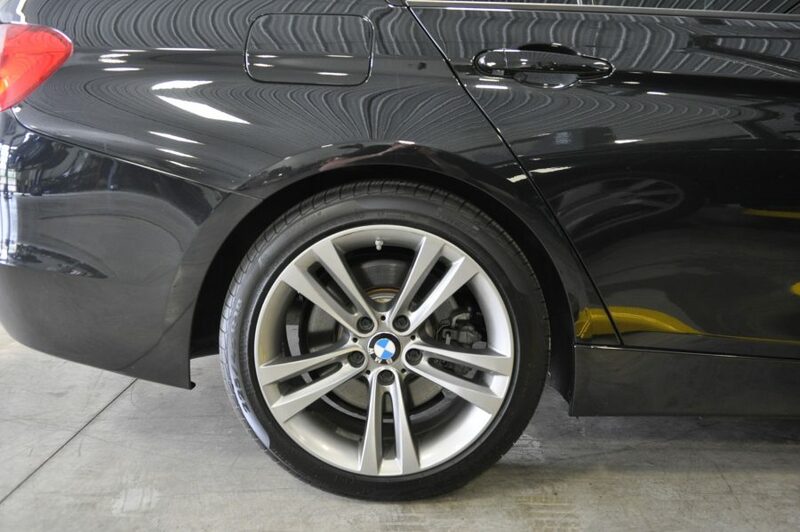 Almost all the high-performance editions of a BMW 3 series, like the M3 have a closer wheel fitment than their mass-production counterparts. Any given car will always look sportier and more aggressive with a wider wheel and proper fitment. With its factory 18″s this 335i still came with a “monster truck” amount of wheel gap. 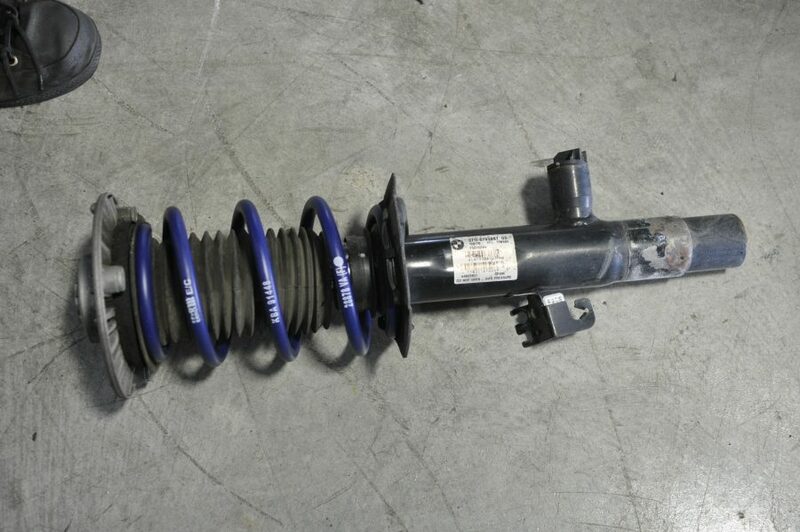 Thanks to H&R, we will be able to close the gap with a set of their Sport Springs. We Like the H&R sport springs, as we have done them before. They provide a great visual transformation while offering a slight handling upgrade without making the ride noticeably rougher. Body roll is significantly reduced due to the lower center of gravity and increased spring stiffness. The floaty feeling of the original Sport suspension is gone. There is significantly more control and cornering grip that can be felt in successive turn like S-corners. The noise and vibration have increased but it’s not significant, it doesn’t turn the F30 into a race car. 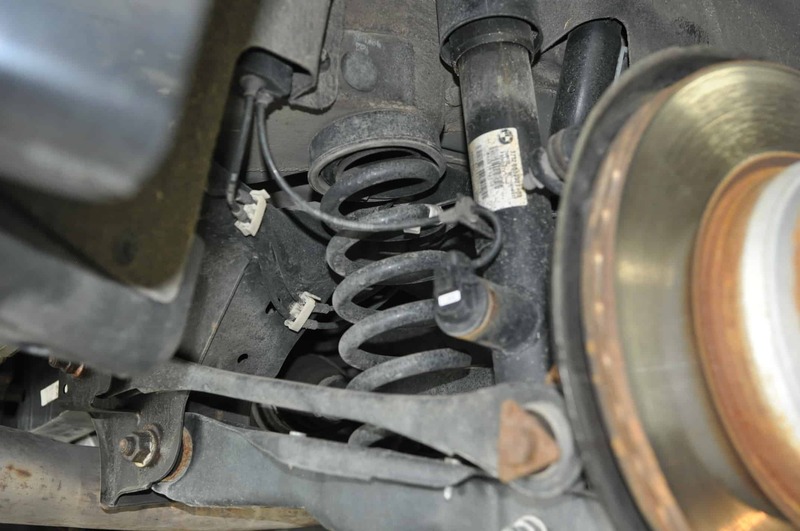 If you want to close your wheel gap, but like the stock ride quality, these are the springs for you. The installation is fundamentally a standard spring install. Removing the spring from the shock is extremely dangerous, so having a professional grade spring compressor is a must. 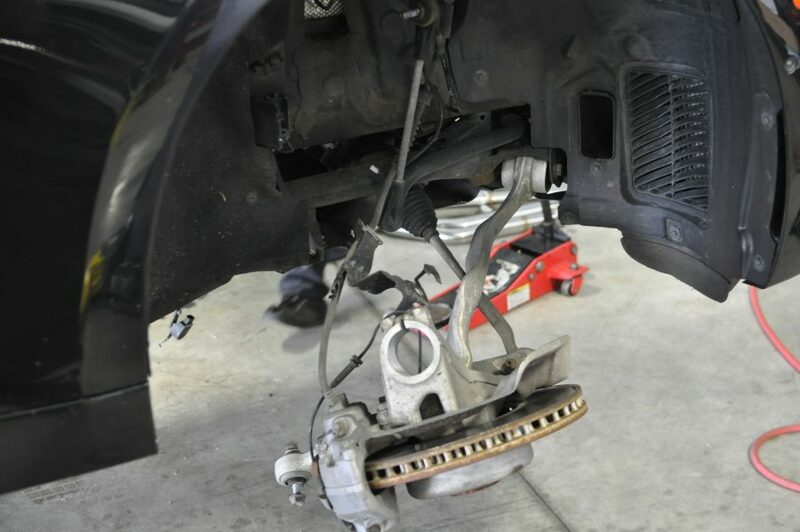 If you are looking to lower your vehicle and would like some professional advice as well as some options, you could do it yourself. 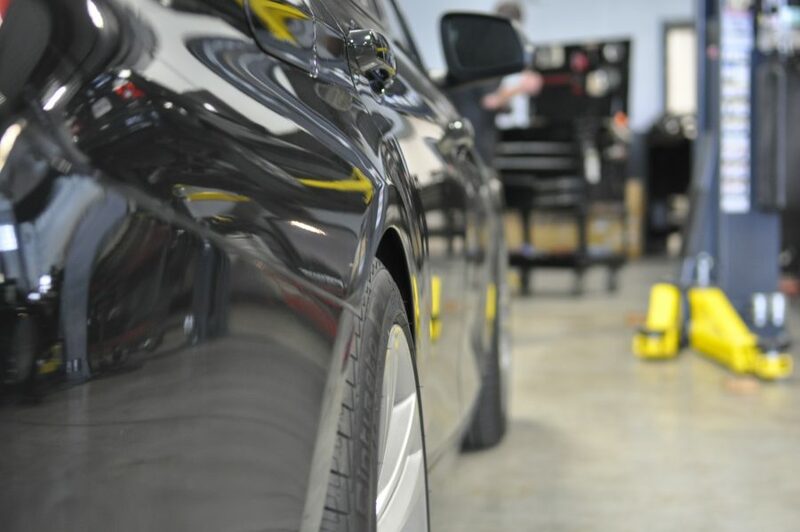 But with all the setup that goes into installing a good set of springs, as well as the specialty tools that can keep you from serious injury or vehicle damage, leave it to the experts at Fluid MotorUnion who are experienced with race suspension set-ups. We sell and install all suspension components for all makes and models. 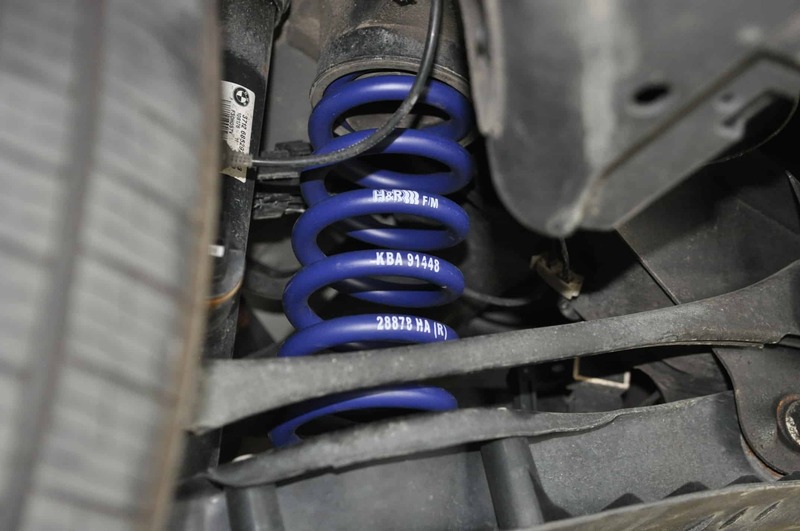 If you have questions on lowering springs for your vehicle, don’t hesitate to get in touch with us via phone at 630-305-3054, or contact us through email at blog@fluidmotorunion.com. We’re conveniently located at the Iron Gate Motor Plaza in Naperville, just minutes from the I88 Rt. 59 exit, right next to top golf!